Kunisaki spreads across the eastern part of Oita Prefecture. This area is known for its many mountains, forests, and temples. If you’re looking for a quiet hike through majestic landscapes, Kunisaki is well worth your time. Most of the temples don’t have an admission fee, but the monks survive off of donations and guests are encouraged to donate spare change when visiting. This area was originally developed some 1,300 years ago by various Shinto and Buddhist groups. As a result, there are many historic temples, shrines, and statues scattered throughout the area, and they’ve only become more popular over the years. 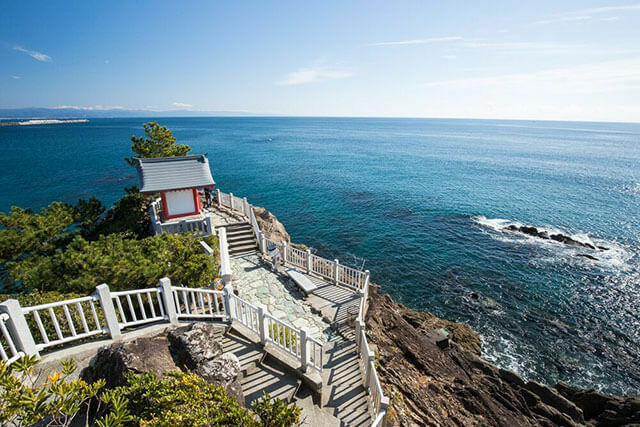 Outside the city areas, Kunisaki is largely untouched, so it’s a great opportunity to enjoy the natural side of Japan while learning more about the historical aspects of Japanese Buddhism and Shinto temples. On the hillside of Mount Yayama, Choanji Temple has become a popular destination for guests during the spring and summer months. 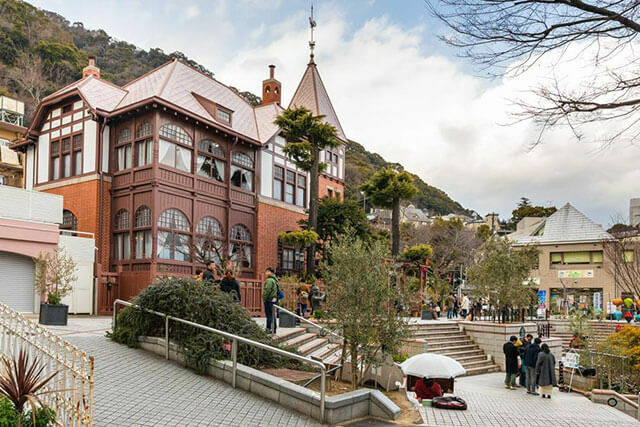 It’s known by many as the “temple of flowers” due to its careful cultivation of over 7,000 rhododendron trees, its beautiful hydrangeas, and the fiery foliage of its maple trees in the fall months. From the 12th century, this temple was a religious destination for many samurai and it is now considered an important cultural property. Futagoji Temple is one of the more striking of the temples in this area. Large Nio Guardian statues stand at the bottom of the steps to the entrance of the temple, surrounded by large pines. This temple is unique in that it belongs to a sect of Buddhism that combines Buddhist and Shinto elements. It’s one of the oldest temples in the area and got its name from the twin mountain peaks surrounding the temple. If you’re up for a light hike, head to Monjusenji Temple. This densely forested area has a lot to see and do. The temple’s main hall has a golden Buddha statue on display every 12 years in the year of the rabbit. After looking around the temple, be sure to go to the spring and drink from the natural spring. It’s said that whoever drinks from the spring will be given wisdom. The forest around the temple also contains a 1,000-year-old zelkova tree, which is designated as a national treasure. 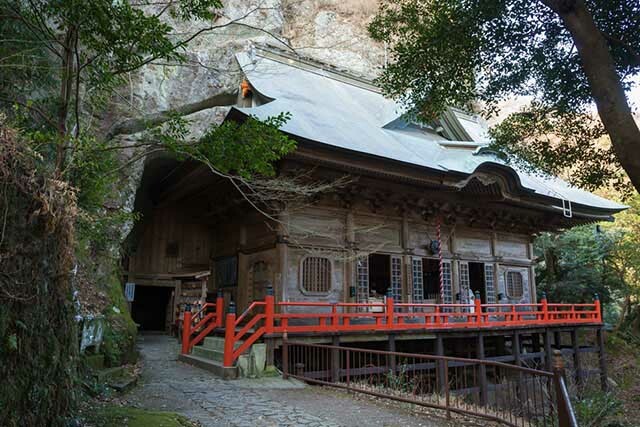 Fukiji Temple is one of the oldest buildings in the area and the oldest wooden structure in Kyushu. It was originally built in the year 718 and has served as a pilgrimage destination for Buddhists for well over 1,000 years. The contrast of the wooden temple against the surrounding forest and moss-covered statues gives this place a unique feel unlike any other. Another interesting temple to see is the Taizouji Temple. This temple was also constructed in the 8th century. During the 11th or 12th century, two large Buddhas were carved in the rock face near the temple. The carvings measure 7 and 8 meters in height and took about four to five years to complete. Getting to this temple is quite a walk, so make sure you’re ready for the climb.